15 Things to do in the Florida Keys! This summer TripSaavy suggested 15 things to do while in the Florida Keys.Thank you Rene! One of the perks of living in Miami is the sun, sand, and surf. But where do you go to get away from it all when you live in a palm-tree lined paradise like Miami? Only an hour’s drive south you’ll find the fabulous Florida Keys, a world apart from the pace of Miami life. Their beaches, diving, and fishing are among the best in the world. But there’s more! Here’s our list of the 15 best things to do in this idyllic slice of Florida. As the nation’s first underwater park, John Pennekamp State Park allows visitors to experience a Jacques Cousteau-like world within a short drive from downtown Miami. 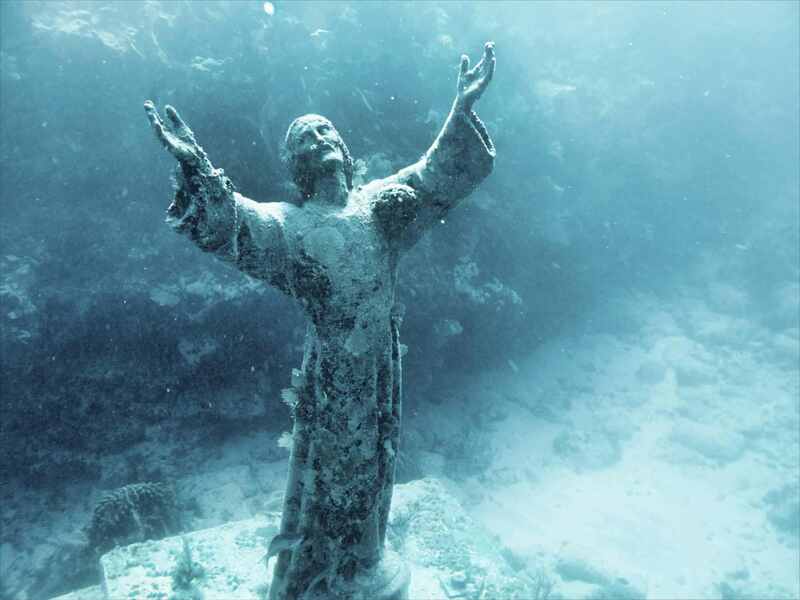 The park is mostly underwater, located within the confines of the Florida Keys National Marine Sanctuary. 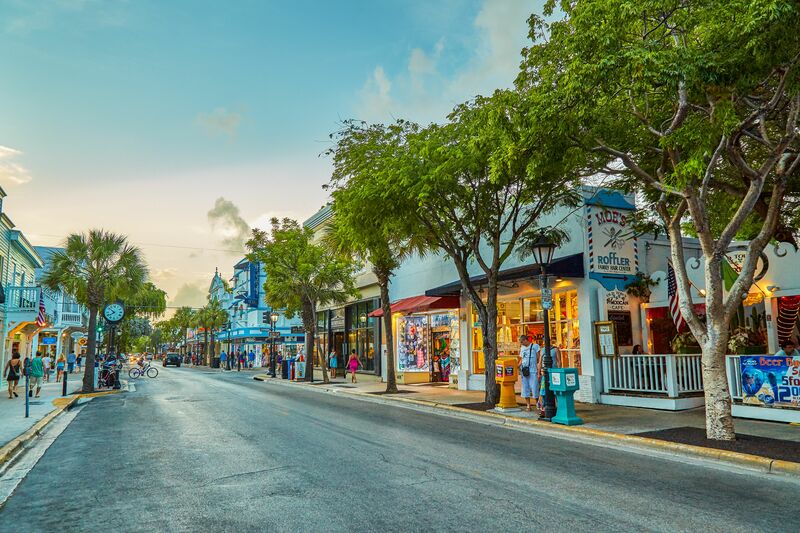 No visit to the Florida Keys is complete without a stop on Key West’s infamous Duval Street. This hotspot of partying offers access to famous drinking establishments like Sloppy Joe’s at the corner of Greene and Duval. Be forewarned: It gets pretty raucous at night! Located at mile marker 84.5, Theater of the Sea provides a marine mammal adventure where you can swim with dolphins, sea lions, and stingrays. They also offer marine performances, glass-bottom boat tours, and a beach. With 1.5 million acres of swamps, sawgrass prairies, and sub-tropical jungles, Everglades National Park is one of the most unusual public parks in the United States. Located on the southern tip of Florida, the park is home to 14 rare and endangered species, including the American Crocodile, the Florida Panther, and the West Indian Manatee. A significant portion of the park is primitive, explored only by adventurists and researchers but visitors have ample opportunity to walk, camp, and canoe. Traveling to the Keys, you’ll leave Homestead and Florida City down an 18-mile stretch of US 1 through the Everglades, known to locals as simply “The Stretch.” In most places, it’s just a two-lane highway, which means you may get stuck behind the occasional slow-moving boat trailer. Be patient, as there are passing zones that widen to four lanes every couple of miles. The ride is quiet and serene, which puts you in a vacation state of mind! Continue your trip to Key Largo, Islamorada, over the Seven-Mile bridge, and through a tropical paradise to Key West! The walls of Fort Jefferson are situated on a tropical Garden Key, presently a part of Dry Tortugas National Park. Located 70 miles west of the tropical paradise of Key West, Dry Tortugas National Park is made up of a cluster of small islands, coral reefs, and one impressive fortress. While it’s certainly not advised to make an impulsive trip to Dry Tortugas, with a little planning you and your family can make a trip to one of America’s most unique and legendary national parks. If you want to check out a more remote state park in the Keys, visit Bahia Honda State Park. This secluded island is part of the Lower Florida Keys, not far from the Seven Mile Bridge. Here you’ll find quiet beaches and clear warm water, as well as plenty of opportunities to snorkel, hike, and camp. A must-visit for any bookworm, Ernest Hemingway’s home is situated in Key West and incredibly well-preserved. The Spanish-colonial house was originally built in 1851. Hemingway and his wife purchased it decades later, restoring it and even adding a swimming pool. Visitors can take a guided tour and visit with Hemingway’s beloved colony of six-toed cats. This waterfront fort was part of active duty until 1947 and still contains the largest American collection of sea-coast cannons. Located near the southern tip of Key West, Fort Taylor is also home to a beach that is popular among locals for picnics and swimming. A guided tour of the fort is offered at 11 a.m. each day. Did you know that Key West is home to a miniature White House? Well, not entirely, but it is home to a fascinating building that served as the naval headquarters for the Spanish-American War and later served as President Harry S. Truman’s Winter White House when military and political figures visited. Now, the house is a museum containing Cold War relics and more. If you want to stay in a truly unique hotel during your time in the Keys, visit the Jules Undersea Lodge. This modest Key Largo hotel is the only underwater hotel in the U.S., featuring lodging that’s 30 feet below the water’s surface. You have to scuba dive to get to your room, which resembles a quaint retro submarine. If you visit the John Pennekamp State Park, you should also stop at the Laura Quinn Wild Bird Sanctuary, just a few minutes away. There is no admission (although donations are gladly accepted) to this incredible sanctuary, whose aviaries are home to formerly wounded birds who can no longer survive in the wild. On any given visit, you’ll see owls, pelicans, hawks, and more. You’ll find brews from Florida Keys Brewing Company at bars and restaurants throughout the islands, but why not visit them at the source? Their Islamorada tasting room usually has an assortment of 20 or more beers on tap at any given time. Try the Iguana Bait, a light Kolsch-style beer made with local honey and hibiscus. 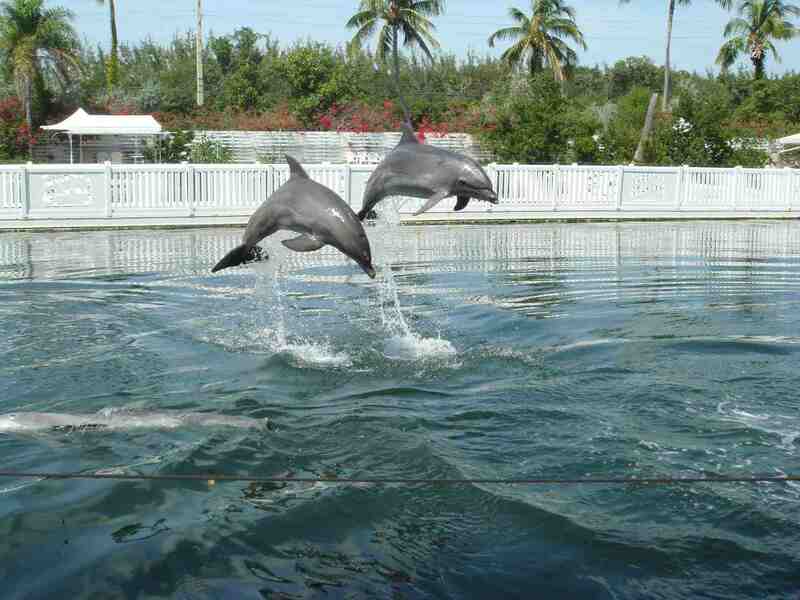 Located in Grassy Key, the Dolphin Research Center is one of the most unique attractions you can visit in the Keys, if not the whole state. The facility consists of 90,000 square feet of saltwater lagoons that house dolphins and sea lions who were either bred in captivity or rehabilitated. Admission includes meeting the dolphins as well as ongoing presentations and sessions to learn more about the facility and its mission. Finally, visit where it all begins! Key West is home to “Mile Marker Zero,” where the 2,369-mile-long interstate, Highway 1, begins. This road connects most major cities along the United States’ East Coast.